A rich and hearty feast deserves a rich and hearty wine! And with the colder weather, dishes like Chez Pascal’s Belgium Tripp Sausage, recently featured in Edible Rhody Magazine, are ideal with Bordeaux wines. Wines from Bordeaux contain mostly Cabernet Sauvignon and Merlot, both known for their power and elegance, and can stand up to and even enhance the full flavors of both the sausage and the cabbage. I really recommend Chateau Blaignan from the Medoc. It has both bold flavors of black fruits and notes of baking spices, like cardamom, that would be a perfect pairing, and especially delightful for a holiday dinner. Looking for more great holiday wines? 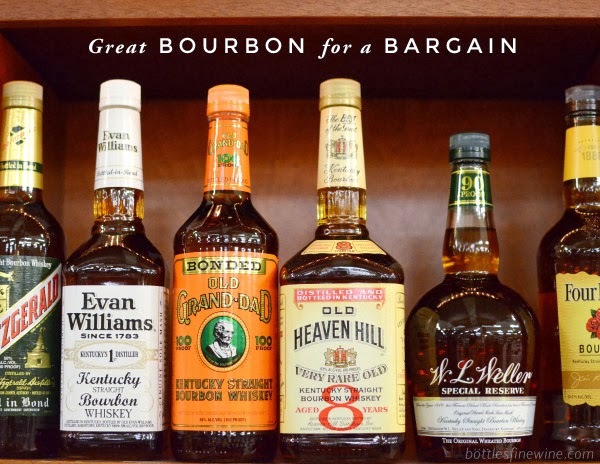 Read more about the Bottles Top Picks for the season! Perfect for a wintertime feast, this recipe combines savory sausage with a creamy gratin and mellow wine-braised cabbage. House-made sausages are available at the Wurst Kitchen at Chez Pascal but any favorite sausage will do. Braise the cabbage in advance to reheat on the stove and bake the gratin before serving. For the cabbage, preheat oven to 325°. Put cloves, peppercorns and broken-up bay leaf in a cheesecloth bag or a tea infuser and place in a large Dutch oven with remaining ingredients. Bring to a simmer over medium-high heat and then immediately place in oven. Braise covered, stirring occasionally for about 2 ½ hours or until cabbage is tender. For the gratin, heat to lukewarm the milk and cinnamon stick in a small saucepan over medium heat. Remove from heat and sprinkle with yeast. Let sit for 10 minutes to proof yeast, then remove cinnamon stick. Add mixture to a blender with butter, flour, eggs, sugar and salt and blend until well combined. Place apples and celery root in a large mixing bowl and pour in blended ingredients. Toss until well coated. In a 9- by 13-inch baking dish, arrange the sliced apples and celery root in overlapping layers so they lie flat and pour in remaining liquid mixture to cover. Place in a warm spot to rest for 30 minutes while preheating the oven to 350°. Bake for 1–1½ hours or until the custard sets and is golden brown. It should be firm when you give it a light shake. If it still looks loose in the center, return to oven for a few more minutes. For serving, heat oil in a sauté pan over medium heat and cook sausage until nicely browned. To serve, divide sausages among 4 large, warm plates with portions of cabbage and custard gratin. Serves 6 as a main course. This entry was posted in Wine Pairings and tagged bordeaux, food and wine pairings, food pairings, sausage, wine pairings on December 15, 2014 by bottlesfinewine. Well, Fall has finally arrived and we are celebrating with a heaping bowl of the must-have seasonal flavor: pumpkin! (pumpkin orzo with sage, to be exact). Round, earthy, slightly sweet and versatile, it always seems like no one can ever get enough of this orange squash. We thought we would help you out by adding one more recipe to that list. If you are even considering trying this recipe, make sure to pick up a bottle of Suavia Soave Classico — an Italian wine of great depth and unmistakable character that will transport you to the hills of Soave. It pairs well not only with the Pumpkin Orzo with Sage, but also with any pasta, gnocchi, or fish that is being served with a hearty vegetable or bean. Classified as a winter squash, the oldest evidence of pumpkin related fruit dates between 7000 BC and 5500 BC in Mexico. Pumpkins are grown all around the world for commercial use, agricultural purposes, and ornamental sales. The largest producers of the winter squash are the United States, Canada, Mexico, India and China. When first cut, pumpkins tend to have a vegetal, buttery smell. When roasted or cooked, they have more of a malty, sweetness. Used mainly for food and recreational purposes in the United States, pumpkins have established themselves as a part of tradition and society. What is Cinderella without her coach, Thanksgiving without pumpkin pie, Halloween without Jack-o-lanterns or fall without pumpkin beers? I challenge you to find a new or unusual pumpkin recipe, and attempt it. You may find a new favorite! Located in the tiny village of Fittà, “mounted like a precious stone in the high green Soave Classico hills covered with vines and olives”, the Tessari family has lived and worked the land since the 19th century. It wasn’t until 1982, when Giovanni and Rosetta Tessari decided to produce their own wine, that the history of Suavia really began. Now run by their four daughters who are inspired and taught by the nature around them, they produce significant Italian wines that are reflective of the terroir and region. The principal and most widespread white grape variety in Soave, Garganega is easier to grow and has become very popular because of its generous yield. It has a natural delicacy and elegance that if grown properly, it develops firm mineral notes and a good structure. The Suavia Soava Classico is fresh, fruity and easy to drink with aromas of apple, pear and hawthorn intermingled with hints of citrus and minerals. The palate is very juicy and creamy with a savory and satisfying finish of continual freshness. It is a wine for flowered terraces, dinner on cobblestone squares, and pastas with hearty vegetables. 1. If you are using a fresh pumpkin, slice it in half lengthwise and place cut side down on a lightly oiled baking sheet. Bake at 350 degrees for 30 minutes or until tender. Allow it to cool and then scoop out the meat with a spoon and puree it in a food processor until smooth. 2. In a large saucepan, bring 3 cups of broth and 3 cups of water to a boil over high heat. Add orzo and return to a boil. Cook for 9 minutes or until the pasta is al dente. Drain and set aside. 3. Meanwhile, saute the shallots and sage in butter for 5 minutes over medium heat. Add 3/4 cups of broth and 1/2 cup of milk. Simmer for another 5 minutes. 4. Add the pumpkin puree to the simmering broth and stir well. Add salt, pepper and remaining 3/4 cups of broth. Reduce the heat and simmer on medium low for 10 to 12 minutes, or until sauce reaches desired consistency. Go forth and cook away! Enjoy the first days of fall! This entry was posted in Wine Pairings and tagged food and wine pairings, italian wine, orzo, pumpkin, white wine, wine pairings on September 23, 2014 by bottlesfinewine. We’re trying to hang on to summer as long as we can, but this fall weather also has us thinking of everything that comes with the season. In order to satisfy both cravings, we are pairing a Bourbon Roasted Peach Cheesecake (yummm!) with a German dessert wine called Beerenauslese. The round, juicy, acidic, yet sweet yellow peaches are used in all areas of cooking, baking, and creating drinks. It’s also often an aroma of wines. They scream home, comfort, and summer. And the Beerenauslese? It’s a dessert wine that tastes like fall with its color, deep flavors, and sweetness. If I was to ask you about peaches would you automatically think Georgia? Well, surprise surprise, peaches actually originated in China as early as 2000 BC. China is also the world’s largest producer of the fruit. Growing in Persia and the Roman empire by the first century AD, peaches were favored by kings and emperors, a prized treat in France, and are symbolic in many cultures. Containing less than 70 calories, 3 grams of fiber, and tons of vitamins A and C, peaches are divided into two types: clingstones and freestones. Both of these varietals can either have a white flesh which are typically very sweet with little acidity, or a yellow flesh that tends to have more of an acidic tang coupled with sweetness. Fun fact: “The world’s largest peach cobbler” is made every year in Georgia measuring 11 feet by 5 feet and contains 75 gallons of peaches! Holy Moley!! A magnificent wine-culture deeply rooted in tradition, Germany has the Romans to thank for planting vineyards along the rivers 2,000 years ago. Heinz Eifel, driven by determination to follow tradition and pay respect to the years of wine-culture, founded the Römerhof winery in 1979 in the heart of the Mosel Valley. They produce a brand of German wines crafted to reflect the distinctive character of the vineyards, using the highest quality grapes and processed with only the most modern techniques and technology. A true testament to the “Art of German Winemaking,” this Beerenauslese is unbelievable. A late harvest wine, it delivers aromas and flavors of ripe pear, peach, honey, and caramelized fruit with a slight bitterness that carries over to the lightly sweet finish. You know that feeling you get after you have just tasted something that is out of this world? That’s exactly how we feel about this wine and food pairing. You will be thanking us once you try it. 1. Roasted peaches: Position the oven racks to upper-middle and lower-middle and preheat the oven to 450 degrees. Line 2 rimmed baking sheets with foil. 2. Slice 4 of the peaches into 3/4 inch thick slices and the remaining 4 into 1/4 inch pieces. Arrange each size in a single layer on their own baking sheet. 3. Whisk together the melted butter, bourbon, and salt in a medium bowl. Divide the mixture in half and drizzle each over the peaches. Sprinkle 2 tbsp of sugar over each baking sheet of peaches. Toss and rearrange them in a single layer. 4. Roast until the peaches are tender and the liquid is syrupy. This should take about 15 minutes, swapping the sheet trays halfway. Transfer the baking sheets to a cooling rack for about 20 minute. 5. Crust: Decrease the oven to 350 degrees and move the rack to the middle. Line the exterior of the springform pan with foil. 6. Combine the graham cracker crumbs, pecans, melted butter, brown sugar, and salt in a medium bowl until the crumbs are thoroughly saturated in butter. Press the mixture into the bottom and up the sides of the pan, stopping about 1/2 inch from the top of the pan. 7. Bake the crust until golden, 10 to 12 minutes. Transfer to a cooling rack for about 15 to 20 minutes. 8. Cheesecake Filling: Decrease the oven to 275 degrees. In a large, clean and dry (important) bowl, whip the egg whites and vanilla bean seeds on medium speed until soft peaks form. This should take about 2 minutes. 9. Gradually add the sugar and continue whipping until stiff peaks form, usually about another 1 – 2 minutes. If you are using a stand mixer, transfer the egg whites to another bowl and clean the one you just used. 10. In the medium bowl, beat the cream cheese, egg yolks and flour on medium speed until light and fluffy. Add the heavy cream and continue to beat until creamy and smooth. Remember to scrape down the sides and bottom of the bowl as needed. Once creamy and smooth, stir in the diced peaches. 11. Stir 1/3 of the egg whites into the cream cheese mixture, then, very gently FOLD (important) in the remaining egg whites. Scrape the batter into the cooled crust and bake until the cheesecake is set but still slightly wobbly in the center, 75 – 90 minutes. Turn off the oven and let the cheesecake remain in there another 20 minutes. This entry was posted in Wine Pairings and tagged bourbon, cheesecake, food and wine pairings, German wine, peaches on September 16, 2014 by bottlesfinewine.